'Tony Watkins suggests that blokes, sheds and rugby are the right ingredients for a party on Queens Wharf. 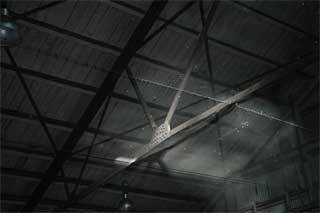 The best New Zealand parties were always in woolsheds. The next best were in cowsheds, or perhaps packing and grading sheds. Even when a funeral is over the blokes still gather in the Skyline shed out the back to remember their mate. Perhaps to talk about rugby with a beer or two and a bucket of mussels. Sheds have magic. Sheds are where real things happen. In the midst of tools, grease, and jobs waiting to be done, yarns are shared and memories relived. 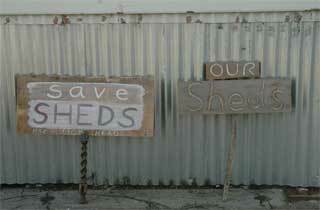 The shed is away from public gaze so there is no need for pretence. The things visitors are meant to admire get left behind in the house. 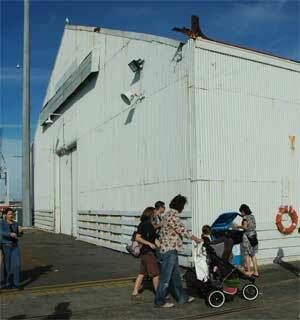 The shed symbolizes the kind of egalitarian nation New Zealand thinks it is. The house in “Boy” was just a house, like so many other faceless houses, in so many other faceless suburbs, in so many other faceless New Zealand towns. The attempt to warm the space with some children’s drawings was symbolic of our desperate but failed attempts to humanize our architecture. This nowhere-in-particular house was the perfect context for that wonderful one liner “Oh, no, not crayfish again”. The action, beyond microwaving the doorhandles, all took place in the shed. The shed reeked of life. Hopes and dreams, failure and despair. The party was always going to be in the shed. When Mizrahi was asked to organize a world-class party he began with the Devonport graving dockyard. Long before he began thinking about lights and music the space was already a perfect setting. Strong and tough. Like the backdrop to one of those Louis Vuitton advertisements. Photographers understand. If you want to make silk look like silk you take your model down to the tough waterfront environment where the brickwork has been knocked around by nuggety tugs and fishing boats. When Auckland held a party to celebrate the new millennium the volcanic crater of the Domain was the perfect setting. Before we destroyed our natural landscape with our architecture the site for our city was one of the most beautiful in the world. Most of our volcanoes, or what is now left of them after we have turned so much into barge-loads of basalt, are around 20,000 to 50,000 years of age. Perfect for celebrating just how short our grip on this earth really is. The mist on that night only added to the magic. The Victorian cricket pavilion watched in wonder, just as it had watched so many events in this space. There would be more parties to come. 250,000 people who had never been inside an opera-house would gather in this space to be enthralled by Tchaikovsky’s 1812 overture. They loved it so much they just wanted to come back year after year to hear it all again. A quiet bottle of wine, but not one drunk, and the greatest problem for police was relocating the lost children. Any Aucklander who thinks of drama thinks of the waterfront. Watershed Theatre. The cabbages falling from heaven when they moved into the Turners and Growers Markets. Before that Shakespeare in the old wharf shed. In that magic you really could hear the hooves of the horses. 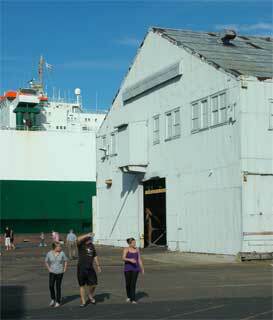 Even before that was the unforgettable experience of theatre in the old Harbour Board workshops. 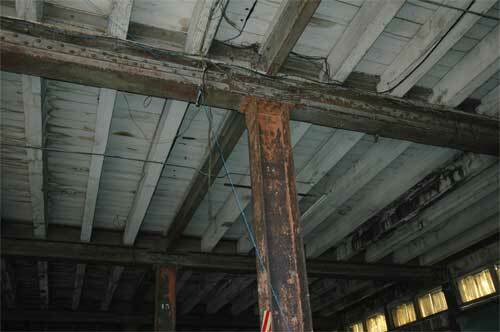 The space stripped back with the action moving to every forge or rusting gantry. The play, the space, and the audience, merged into one great party as every boundary was swept away. Architects are very good at providing scintillating computer images of buildings which will, some millions of dollars later, be perfect for magazine photographs. 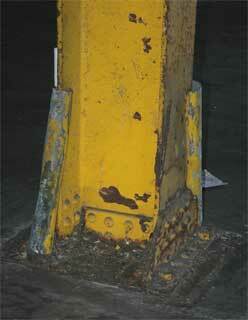 What architects cannot provide is the patina of life. Before containers and straddle carriers made it all too dangerous, and bureaucrats asked the fishermen to move away so they could put boundaries everywhere, the waterfront teamed with life. The pallets were stacked and the cranes hoisted them up and over to lower them into the holds of ships. It was tough work and those men were tough too. The watersiders challenged the government instead of just chattering. Who could forget the sadness of those queues of men early in the morning hoping to get work for the day. Traffic brought a halt in Quay Street while an enormous steam engine hauled another trainload out onto Queens Wharf. The screeching of steel on steel going around the last bend. Who will remember all this? It is the sheds that will remember, long after we have forgotten. Every year at Anzac Day communities gather to remember, and they resolve once again to never forget those who gave their lives so that we might have life. By the following morning all is forgotten as everyone returns to a dull routine which has nothing to do with life. We cannot afford to forget who we are, along with all those who gave their lives, in peace as much as in war. Who will remember? The wharf sheds remember. When you walk in you hear the voices of men talking about the rugby on the weekend. You blink for a moment, as it seems that one of them hands you a slightly battered enamel mug of sweet, hot tea and asks how your game went. It is easy to forget that there was a time when people played for the sport rather than the money. There was a time when everyone played and you watched your mates only to cheer them on. 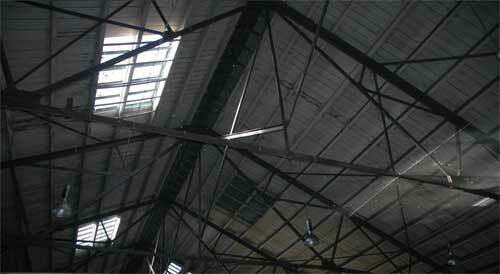 The move from real sport to spectator sport has been an architectural move too. Buildings to look at rather than buildings to live in. Community Alzheimer’s is the greatest problem in our time. If we all forget who we are then how can we celebrate? Why would we bother? The best parties were in woolsheds because the shed had spent many years building up a community, long before the party began. The party was only pausing for a moment to reflect on a life well lived. 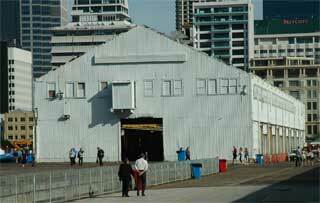 The sheds on Queens Wharf have spent a lifetime getting ready for a party. No architect can create that magic. 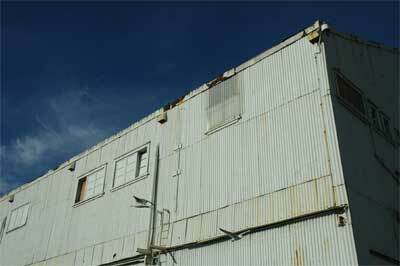 If the sheds are demolished there will be nothing to remember after the party is over. A sore head will go away but a community which has embraced Alzheimer’s will have no future because it has no past. Tony Watkins is an architect and an urban designer. 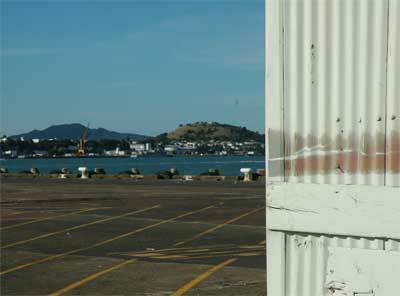 He wrote the “Port Visual Study” for the Auckland Harbour Board thirty years ago. 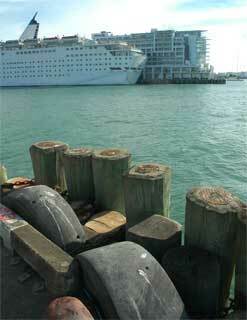 This was the first urban design analysis of the Port of Auckland.